Laura Clark is a Licensed Massage Therapist who has worked with holistic healing since 2001. 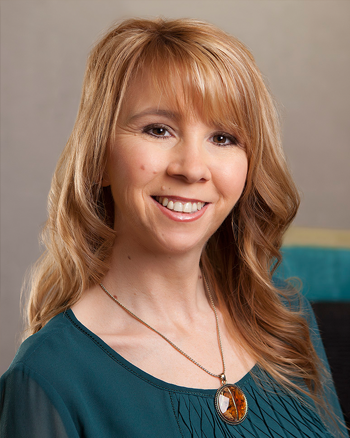 She has advanced certification in Manual Lymph Drainage Massage from the Vodder School International and a Bachelor of Science degree in Nutrition and Dietetics from Illinois State University. She graduated from the EnergyTouch School of Advanced Healing in 2012. 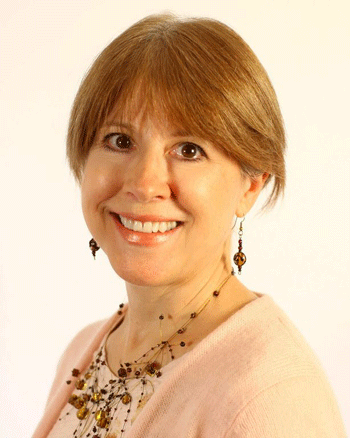 Laura has taught at the Chicago School of Massage Therapy and continues to present community lectures relating to health, well-being and energy healing. Her passion is using the higher level skills of EnergyTouch Healing to help clients receive healing in their physical, emotional, and spiritual lives. In the late 1990's Laura experienced a challenging and life-changing health crisis that culminated with an increased understanding of the possibilities of emotional and spiritual healing. She brings compassion, acceptance, and energy skills to each of her clients to create an atmosphere where true healing can happen. My philosophy of healing is simple: We are created to live in love and wholeness, and within each of us is the innate longing for wholeness and healing. In an atmosphere of compassion and acceptance, I help clients recognize and release difficulties that keep them from healing and in doing so, restore the beauty of their inner soul and become who they are created to be. Jill Davis is an experienced Yoga Instructor who has been teaching her students how to create wellness in their bodies through asana, pranayama and meditation since she became certified in 2006. Her love of yoga and her curiosity about the energy body and energy field prompted her to enroll in the EnergyTouch School of Advanced Healing. She graduated in 2012 and has been working with clients ever since. Jill noticed that many of her clients had experienced some type of trauma in their lives and she wanted to provide them with a self-care tool that they could use in between their Energy sessions. She discovered TRE (Trauma Releasing Exercises). 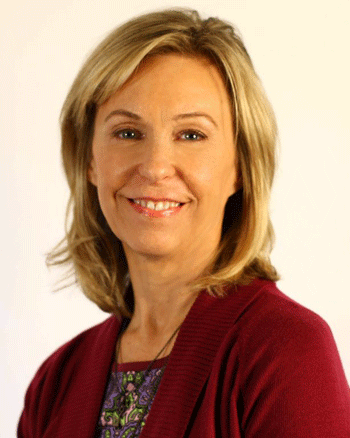 Jill received her TRE Provider Certification in 2014 and teaches groups and individuals how to release the blocked energy in their bodies by connecting them back with their own self-healing vibration. Jill continues to explore healing both as a provider and as a client. She is excited to share the gift of healing with her clients because she is a recipient. As a recipient she knows how freeing it is to have symptoms of dis-ease alleviated from the body, mind, and spirit. I enjoy helping my clients connect back in with the many aspects of themselves that desire healing, recognition and change. All parts of us need to be tended to, to create the life we are longing for. I meet my clients wherever they are at, with love and patience, to help them tend to their unique souls and manifest their best life ever. Kelly is a Certified Clinical Thermographer and Licensed Massage Therapist. She began her career at HealingSpace Medical Center in December 2014. Before HealingSpace, Kelly worked for nearly 25 years as a dental hygenist, graduating from Willian Rainey Harper College in 1991. After a few years in the dental field, she began to feel the physical toll on her body leading her to seek out massage therapy treatment. Realizing the benefits of massage therapy has on the body and mind, Kelly entered the massage therapy program at Waubonsee Community College, graduating in 2000. She continued to work in both professions through 2014. Massage therapy education opened a whole new world or Kelly, exposing her to many types of alternative and naturopathic medicines. She discovered the body can heal iteself when given the proper tools. Her strong belifes in the benefits of utilizing thermography lead her to train through Med-Hot Thermal Imaging to be a Certified Clinical Thermographer. At HealingSpace, I strive to deliver comforting, relaxed, and stress-free experinces during both massage and thermograpy appointments. I feel that it is important for us to take time to focus on ourselves, learn all that we can about our own bodies, seek out infromation about what ails us, and treat preventively. Thermography is the only technology which allows us to see inflammation--the very first sign of disease. This information allows us to be proactive in managing our health before symptoms begin. Dawn graduated from Trinity School of Natural Health in 2011 where she studied Holistic Nutrition Therapy and Natural Health. Her training and experience covers a variety of areas including: Weight Loss, Digestive Health, Orthomolecular Nutrition, Chemistry of Health, Medical Chemistry. Dawn understands what it takes to offer a unique, effective and pleasant experience for patients seeking help in their wellness journey. It was through her own journey with her mother’s cancer illness and her daughter’s chronic childhood illnesses that led her to seek holistic nutrition and learn how to use nutraceuticals to assist the body in healing itself and coming to a state of homeostasis. Dawn’s career has allowed her to work alongside physicians and clinicians to create a conducive environment for patients blending holistic therapies that are effective. Through this approach patients experience a well-rounded healing journey. She is an expert on many nutritional topics including digestive health and depression. Nutritional therapy can help you learn how to properly nourish, balance and fuel your body using food and nutraceuticals. Even with the best of efforts, eating a diet that addresses all your unique nutritional needs can be extremely difficult due to conventional farming, genetically modified foods and nutrient depleted soil. Just as eating healthy is much more than just increasing your fruits and vegetables, taking vitamins and supplements is much more than just a daily pill. One must be careful not to upset the balance of other vitamins while trying to replenish others. Finding and protecting this balance requires knowledge from a professional of how these nutrients work together and against each other. When it comes to HealingSpace, creating an environment of both professional and effective service for our patients is of utmost importance to me. It is my focus to ensure our patients experience both professionalism and effective treatments during their visits. 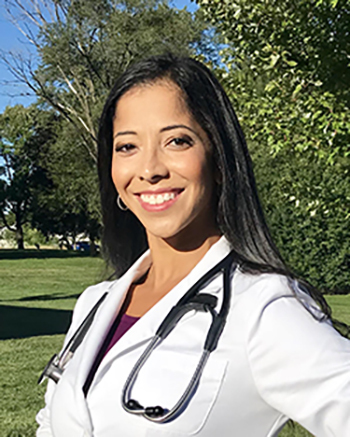 Dr. Cresencia Felty is an integrative expert in natural health and functional medicine who consults on acute and chronic conditions. Dr. Felty's mission is to help people of all ages improve their health, well-being, and self-healing ability. In every visit with her, you will get solutions that address your health concerns. Dr. Felty wants to get to know you and listen to what you have to say. She supports you to get better and in the process, will work with you to address your health needs and goals. She considers you as a whole person (mind/body/emotion/spirit) and not just the disease, condition, or symptom you come in to address. She provides simple lifestyle recommendations that are individualized to your unique situation. Her recommendations focus on lasting relief and improvement, rather than a temporary fix. She recognizes that there is not a one-size-fits-all treatment that works for everyone. She works with your rimary care providers because she believes in a comprehensive approach that combines holistic edicine and conventional medicine. Dr. Felty will be your health advocate, not just another doctor. A few principles Dr. Felty lives by: first, do no harm, the body heals itself, and the physician heal thyself.